Wouldn’t you love to know how to help a real person with a real problem using your Bible? If so, then this conference is for you, because our desire is to see believers, young and old, living with a quiet, humble confidence that God could actually use us to help someone else. Isn’t that what God has us here on this earth for – to be salt and light? We’re convinced that God could use this conference to help you get saltier and brighter and to start living on purpose, for the glory of God. Do you know how to help someone from God’s Word? The Foundations Track provides the fundamental training required to counsel biblically. Saturday 8:30am-4:00pm Lunch is included. Complimentary drinks and snacks are planned throughout the conference schedule. The Advanced Track is one weekend of instruction designed for those who have completed the Foundations Track, but it is not essential to have done so. 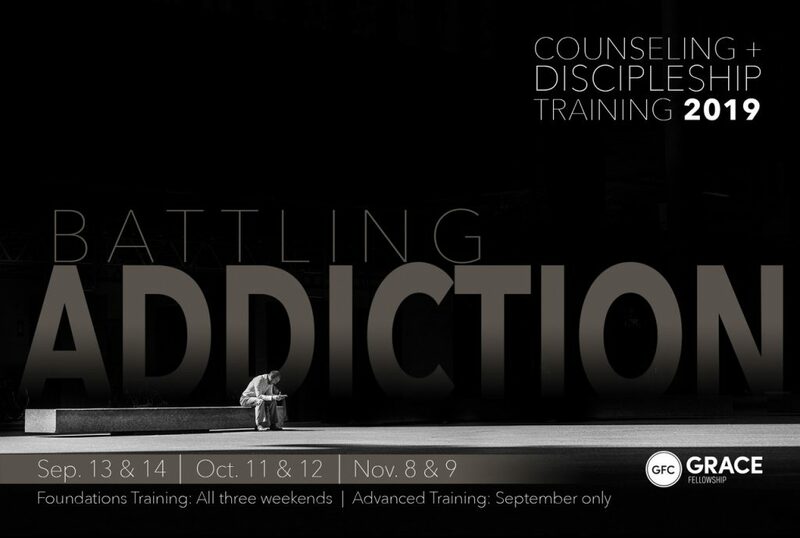 This training serves the purpose of encouraging and equipping believers for further effective ministry. Is this training only for counselors? No way! This training is for anyone who wants to learn how to help people using the Bible. If you’re a Community Group Leader in your church, we believe this training will help you become ready to assist when people in your group are hurting as it gives you the foundations of using Scripture to address heart issues, which we all have. 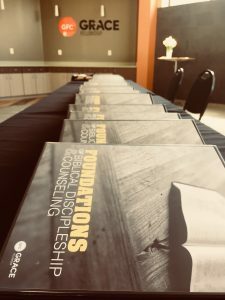 But if you’re interested in learning how to counsel biblically or work through the ACBC Counseling certification process, this training is especially for you. What will this equip me to do? You likely know someone who has a troubled marriage, has kids who are struggling with disobedience, or are friends with someone who has experienced a tragic loss. We all know these people, but so often we do not know what to say when we are faced with the struggles of these people we love so much. 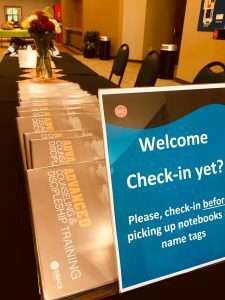 We offer counseling and discipleship training because we want the church of Jesus Christ to grow in wisdom and skill about how to say helpful things to people going through intense difficulty. Does this fulfill the requirements for ACBC certification? Yes, all three weekends of our Foundations Track fulfills the initial instruction required for the ACBC certification process. Absolutely! Many people attend this conference who come from different states around the country and even around the world! We’d love for you to join us! What's the location for this training? Our annual Counseling & Discipleship Training is held at Grace Fellowship’s Florence Campus at 9379 Gunpowder Road Florence, KY 41042. Childcare is NOT provided for this training.